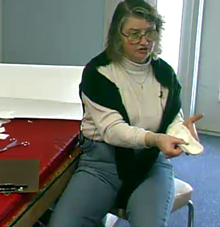 This program presents the construction techniques for fabricating dynamic pelite foot orthotic inserts. Step by step instructions are demonstarted for the construction of the inserts. Demonstration constructing inserts for a child with neuromotor disorder is included. 1. List the steps for drawing the insert. 2. List the steps for supporting the various arches of the foot. 3. Describe the dynamic arching system of the foot.